Dad loved sand and saltwater and the sound of waves washing the shore. That is why we took our vacations in Gopalpur, on the Bay of Bengal nearly every winter. He grew up tow-headed from the sun (what little there was of it) and ocean spray on the coast of Washington, north of the Hoquiam-Aberdeen area, in the small lumber town of Pacific Beach. He was the youngest of four boys. His mother was a strict disciplinarian, emphasis on “strict” and “disciplinarian”. I mentioned in one of my other stories that she had a quirt under her arm most of the time or it was in easy reach. And she never hesitated to use it, her motto being: “quirt first and ask questions later”. His dad, like my other grandfather, was an alcoholic. The main difference between the two is that when dad’s dad was drunk he was kind, gentle and funny. And when he was sober he was dysfunctional. Dad and his brothers were at a loss as to how to relate to him. He was an ace gambler. Poker was his game and he did very well at it. The lumber industry was, and is, an on-and-off-again industry. There would be work, and a lot of it, and then there would be none. Somehow they got by, living first right beside the sawmill in Aloha, and then, later, nearly on the beach at Pacific Beach. The era, defined by the depression, and the area, defined by the lumber industry, left it a pretty depressing situation. It was not an easy life. Fortunately they never went hungry. Dad raised chickens and they could always dig for clams. And they could fish. But the two-bedroom house was a bit cramped. Dad and his three brothers all slept in one bed. 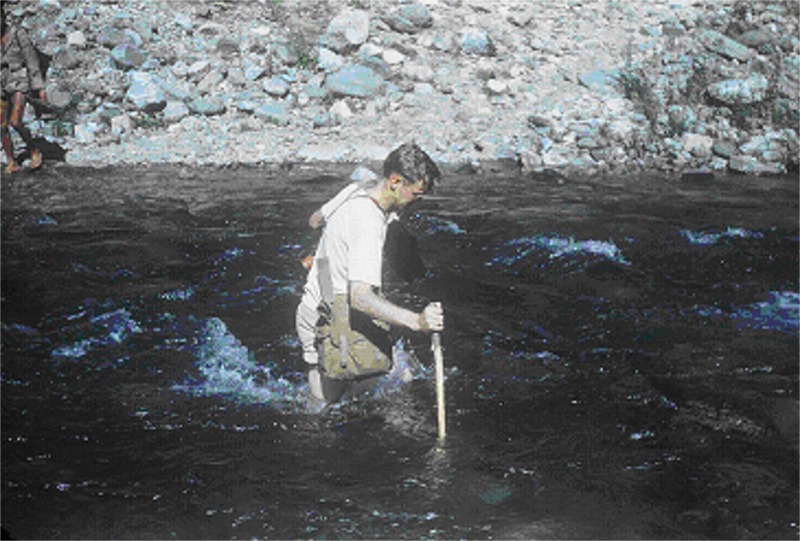 When he was twelve he came to Christ—saved through the witness of a friend, Roy Bergquist. There was no church in the little town, and about the only family known to be Christians were the Bergquists. Roy was his best friend. Christianity saved dad not only in a spiritual sense, it also saved him from the dead-end life of a lumberman, and out of the rather rough environment he had grown up in. Long story. Short story is he did well in school, went to Seattle Pacific, then to Dallas Seminary for a masters in theology (and later a doctorate) and along the way caught a vision for missions and a passion for the lost. Joined TEAM and went to India and fathered four sons. 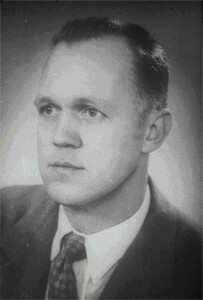 Vernie, the youngest of us four boys, was a happy-go-lucky kid, easy to like, astute and had a delightful sense of humor. But sometimes he did irritating things for no apparent reason… and then laugh. One particular Sunday morning he was in high form. We were all getting ready for church. Everybody was looking spiffy. Dad liked looking spiffy and one way he did this was to shine his shoes. They were polished to perfection and he was proud of them. Vernie had been walking around the gravel yard when dad came out and tried to get us organized to start walking to church. Vernie sauntered up and purposely stepped on dad’s spiffy shoes, all polished. He stepped off and tried to look casually indifferent. Dad looked down—dust and scratches all over the top of his shoes. One thing about dad was that he was a pretty easygoing guy. He seldom got angry. He had a fuse, but it was not short. It was, in fact, a very long fuse. But at that moment it was clear the fuse was lit. Vernie was adroit at reading body language. He had done something that was now causing a problem. He could read dad’s body language very well at this point. But instead of being repentant he repeated dad’s statement in the form of a question, sniggering slightly. “Did you say, ‘You wrecked’em’?” he asked. “That is exactly what I said, ‘You wrecked’em”. Dad’s voice was a little higher and a little louder and little more enunciated. Verne’s sniggering increased, his shoulders were jiggling, his face tormented with trying to keep from outright laughter, but he was losing. “You wrecked’em!” he repeated. At this point the three of us, who moments previously were waiting to see how far the fuse would burn realized that Vernie’s sniggering was perfectly justified and we began to join in, slowly, and then with gusto until we were all four choking with laughter. Obviously something was funny, but dad was not getting it. Dad, who had a magnificent sense of humor. Dad who loved puns, loved spoonerisms and had a joke for every occasion was left high and dry on this one. Something was hilarious, nearly causing hernias. But he was clueless. But if humor was a hallmark, so was dad’s serious side. There was no two ways about it–he was out there to win the world for Christ. He started out as a Bible teacher at the church in Darchula and an itinerant village evangelist. When the Government of India requested TEAM move its people out of that area because of its proximity to passes leading into Tibet they moved to Mussoorie, a hillstation where there was a mission hospital where mom could plug in, and where there was a missionary boarding school where us kids could go—Woodstock School. But what would Dad do? Instead of waiting around to be told, he decided to start a Bible correspondence course school. Hiking from village to village, preaching to a handful of people at a time was great experience. But he kept thinking there had to be a better way. There had to be a way to reach more people more effectively than this. With an interactive correspondence course the student evidenced initiative. Postage was cheap. Mail could go where missionaries could not. Printing was cheap. Labor to facilitate all of this was relatively inexpensive. Dad was an amateur magician and could make things disappear…like his own money. 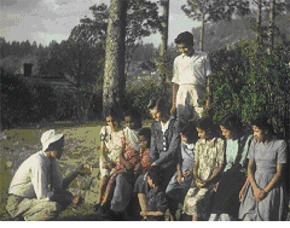 And that is how the Landour Bible Institute got started. 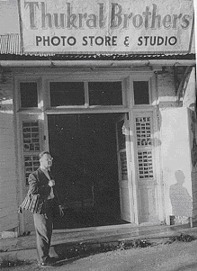 The name was eventually changed to Jiwan Jyoti (Light of Life) and he got started in 1958 with a desk and a typewriter. He wrote a six lesson series called “Way of Salvation.” It was eventually translated into 25 different Indian languages, they added other courses, and eventually had a staff of 25 and a radio program broadcast from Sri Lanka (FEBC). Over time Jiwan Jyoti processed well over one million students. Also, as way of interacting with their students they started a retreat and conference center at Deodars, which grew into a ministry of its own under the leadership of the Dublands. They also looked for clusters of students in various places in North India. Then Uncle Bob or Uncle Murray would go there and get the students together and see if they could start a church. In this way a number of churches were formed, including Delhi Bible Fellowship. 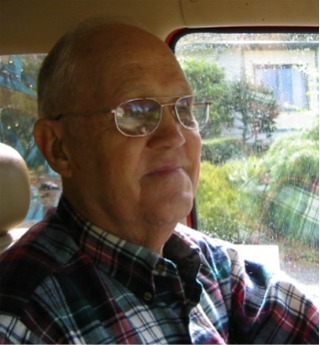 He taught Bible Club every Sunday afternoon for years. Dad loved to teach. Our devotions each night would not simply be a story or a scripture reading. He used the time to teach and apply the lesson. 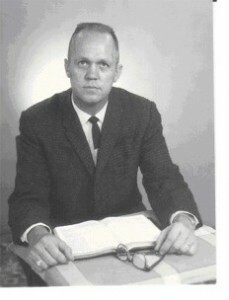 He was a good teacher and a good preacher. 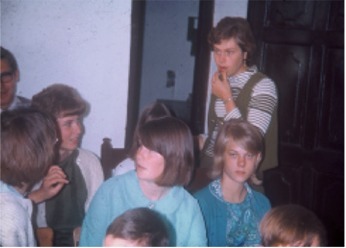 During our last term, at the suggestion of Aunty Anita, they started what came to be known as “Bible Club” which met at the Warren’s house, Bothwell Bank, every Sunday afternoon. We had tea and snacks and then Dad (or some guest speaker) would hold forth on some topic for 45 minutes. There would be 30-40 kids or so most Sundays. And he had a few hobbies. He brought an Ithica twelve gauge shotgun out to India to hunt, but for some reason did not enjoy hunting. He sold the old double barrel twelve gauge to Mr. Savantos, a Finnish missionary who lived down the hill in Rajpur. Later when I was in high school we bought it back. He took us hunting, but he never hunted again himself. 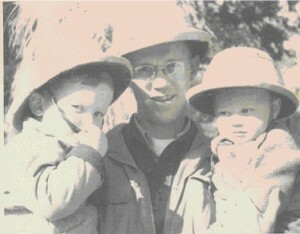 Dad (on right) with Uncle Ralph and J.M. Singh (their language pundit) and a wild boar shot in Jhansi. He enjoyed tropical fish. We had an aquarium and he would spend hours cleaning it, keeping the temperature just right and so on. We looked for all manner of exotic tropical fish in our travels and would haul them back long distances in plastic bags filled with a couple cups of water, from places as far away as Calcutta. And he loved music. In fact, music was a passion. He was eclectic. We had classical to country and everything in between. This was the era of 33-1/3 records and although we had quite a few of them, we had even more tapes. These were reel-to-reel, played on cumbersome, heavy machines and you had to thread the tape over the “heads” and to the other reel, wind it around a few times before pressing “play”. The one nice thing was that on slow play you could have an hour or two of music without interruption. The process to get the music onto the tape was fairly simple. You just put the record on the record player and recorded it onto the tape, pressing pause when you turned the record over or changed records. 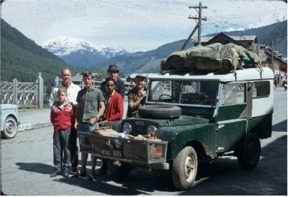 In 1965 Dad bought this ’51 Land Rover from the Maharaja of Tehri Garwhal and we started taking trips around N. India in it. This was on a trip to Kashmir in 1966. Dad fancied himself a bit of an audiophile. I think I have pretty decent ears, but I could not hear what he heard. He could hear hiss and pop, wow and flutter on everything. So there was a slow process of upgrading equipment. This process essentially left us in penury because the expense was gigantic compared with his income. It would be like spending two thousand dollars for a nice stereo system today. We started with an old Norelco reel to reel and then Dad lugged home a Tandberg he bought from some Swedish missionaries going on furlough. He thought it vastly superior in quality to anything we had and it cost a full month’s salary. Dad seemed to have this incredibly ambivalent attitude towards money. We never seemed to lack the basics, and once that was achieved he spent money on purchases like the Tandberg. Ever practical, even as a kid, I saw this as a defect, but it was a trait he never lost, even later when he had considerably more income. At one point his photography hobby (one he still pursues) left him indebted to the tune of thousands of rupees at Thukral’s where he bought film and had it developed. Thukral loved my dad. One of dad’s favorite places…and he was one of Thukral’s favorite customers (that’s Uncle Al out front). And, of course, there were books. Tons of them. Bookshelves all over his office downstairs. Bookshelves at the office over in Happy Valley And all of them filled with books (over time he collected over five thousand). Dad loved books, loved reading. And it was the scholar in him that eventually led him to complete a doctorate in theology at Dallas Seminary during our furloughs. So the house was filled with music, photos, slides, books of all sorts and an aquarium, as well as a dog and cat, all contributing to his personal and our general joy. He could have had worse habits. But it was his sense of humor for which I am most grateful. He could see the funny side of the most onerous of circumstances. He had a hearty laugh, as infectious as any virus. And he could tell jokes. Uncle Al, Uncle Ralph and Dad would form a small circle and Dad would weave a tale which might end, “and the storal of the morey is….never hatchet your Count before he chickens.” And there would be waves of belly laughs, heads thrown back. As a kid, this outcome was at least as good as the joke was. It was enough just to be nearby and to hear the laughter. 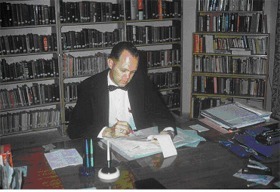 Dad in his office at Jiwan Jyoti. And there dad was that Sunday morning, standing in our yard at Chenowyth Cottage, bewildered, looking at his boys who were choking and shaking with laughter. They were repeating what he had said, “You wrecked’em”. Slowly, slowly he realized there was a body-part homonym involved here. He started with a smile, then he began to laugh, and he laughed long and loud. I guess he realized it is possible to analize humor! Thanks, Dad, for a wonderful heritage and a great childhood.